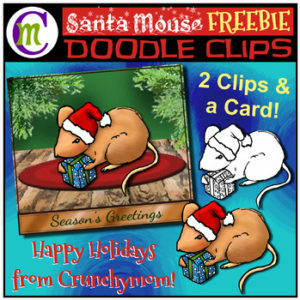 Another sample of some of my upcoming Doodle Clips, this Santa Mouse has a gift for you! Enjoy this little guy, and send some seasonal cheer with this holiday greeting card I’ve included. All images included are shown in the thumbnails.